Moucha is a small sparsely populated (i.e. vacation homes for the wealthy) island about a 20 minute boat ride from Djibouti city. It is great for snorkeling and scuba. If you are one of the lucky ones with access to a private boat, then just hop on over, find a nice patch of sand and enjoy. For the rest of us, I'd suggest going to Lagoon Bleu via Djibouti Divers. They offer half-day, all-day and multi-day (overnight) options with delicious meals and beach chairs and shade umbrellas included. The place has a small playground and rents water equipment (like kayaks and such). 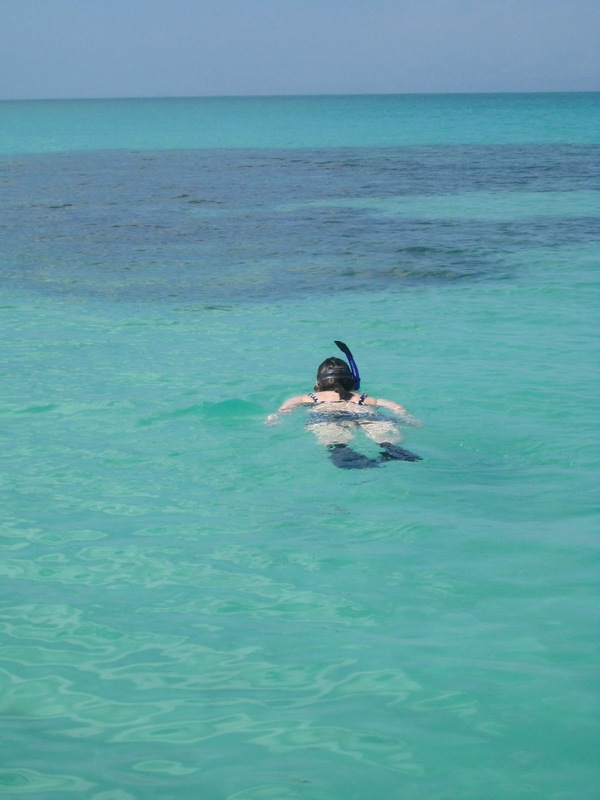 Snorkeling can be done right off the beach or you can rent a boat/driver to take you to the best nearby spots and/or a tour around the island to see the mangrove forest. Prices are extremely reasonable making it an ideal daytrip or romantic weekend getaway. Their bungalows are simple but clean and feature comforts such as air-conditioning and private full bathrooms. Reservations should be done in advance via their office at the Kempenski Hotel since spots on the boat do fill up. Boat to the island leaves from the hotel and keeps a strict timetable. Some friends from work had their wedding there, and a gorgeous event it was! The staff there did a wonderful job with setting up the seating and catering. Continuing on the theme of "Djibouti is actually a beautiful place," today I'll feature Sable Blanc (a.k.a. White Sands), a beach in the Gulf of Tadjourah not far from the town of Tadjourah. To get there you can do the aprox. 4 hour drive from Djibouti OR take the ferry to Tadjourah and then catch a cab OR go by boat. We picked option three and had a wonderful trip over on the beautiful Deli, a ship owned and managed by Dolphin Excursions.